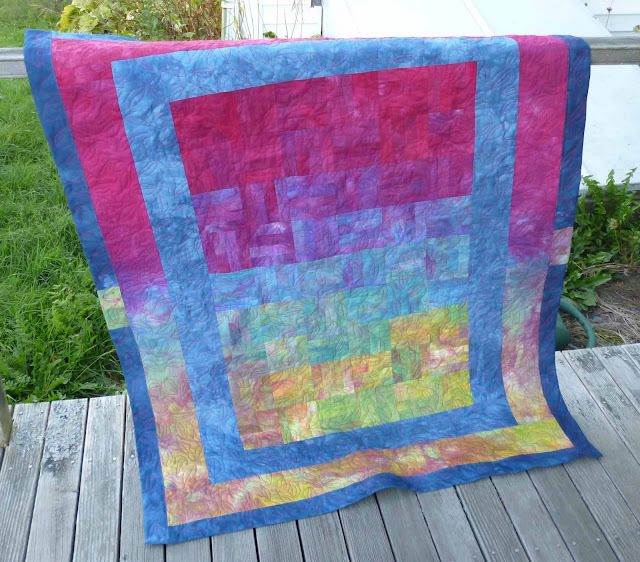 I started out making this quilt in a log cabin pattern because it is so fast and easy using the QAYG method (see tutorial above under header). 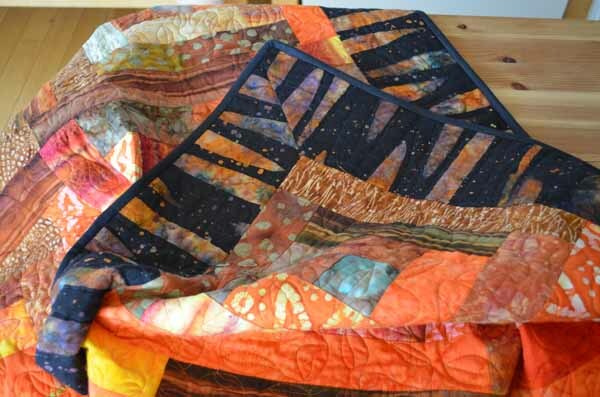 I wanted this to be a "South Western" themed quilt. When I think of the southwest, I think of turquoise so I wanted to incorporate flashes of turquoise into the piece. I decided centers (chimneys) would do nicely. When I looked at the finished piece I viewed each block and a mine shaft with that flash of turquoise at the end of the shaft. Another challenge came when I thought of the border. 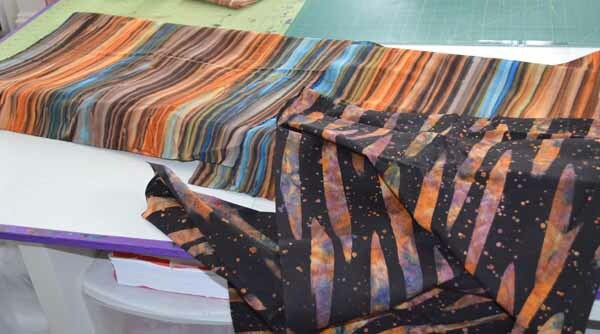 I loved the stripes in the inspirational photo but I was NOT looking forward to sewing all those strips together. I found two fabrics that might work. Problem: Do I have enough to make a border for the entire piece. 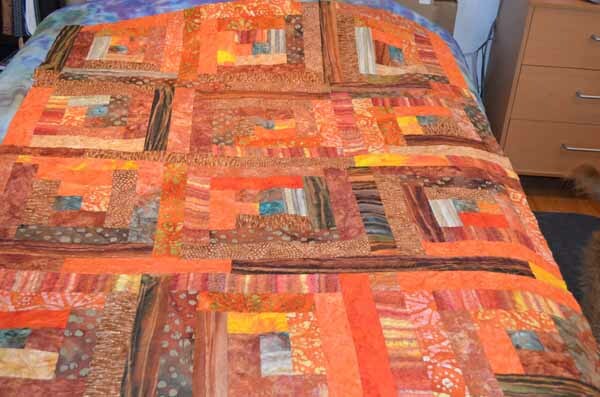 First I sewed the four "rows" of blocks together using pieces of left over strips sewed end to end then I quilted each join. I quilted from the back so I had to put the last bit of rust thread on a bobbin because that would show. The top thread now showing on the underside of the quilt was a different color but you can see how seamlessly (see what I did there?) 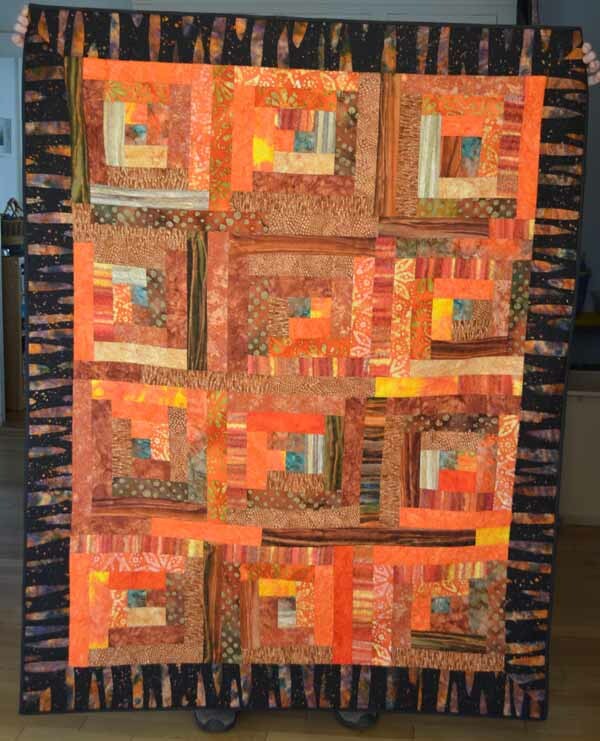 the quilting pattern blends in the the previously quilted "strips"? This is another reason I love this filler pattern. 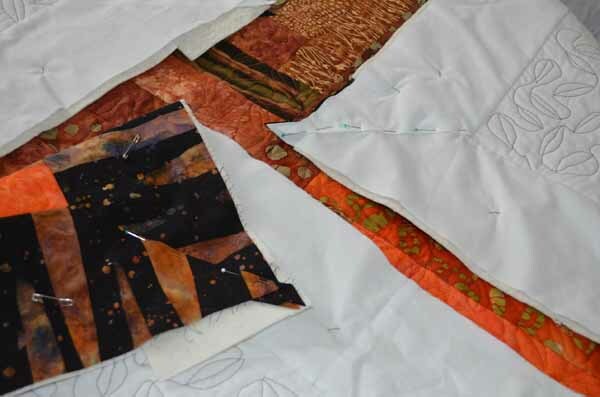 Four strips all joined and ready for the border fabric. Which to choose? 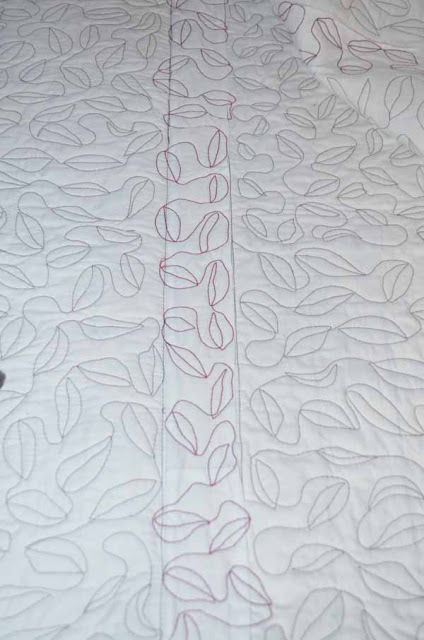 I had less of the thin stripe and would be left with a tiny border which would look skimpy in proportion to the main body of the quilt. 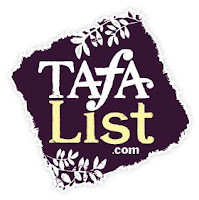 On the other hand I just LOVED the batik amoebas on the black spotted background AND I had an entire yard. YEAH! I took a photo of the mitering of the corners but after downloading it, it was blurry. Sorry. 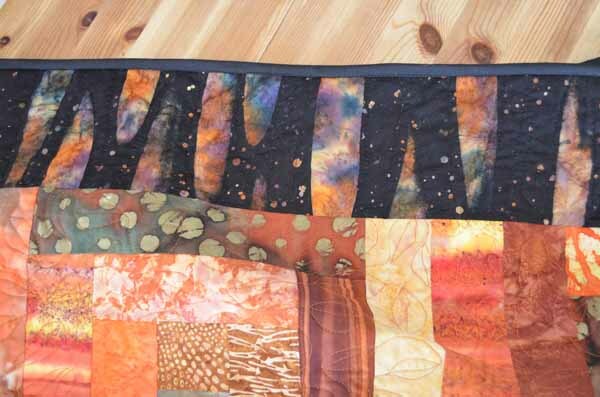 Instead of sewing seams, I pinned both border fabric and backing fabric and top stitched AFTER inserting the batting into the border "sandwich". You can really see it in the photo below. 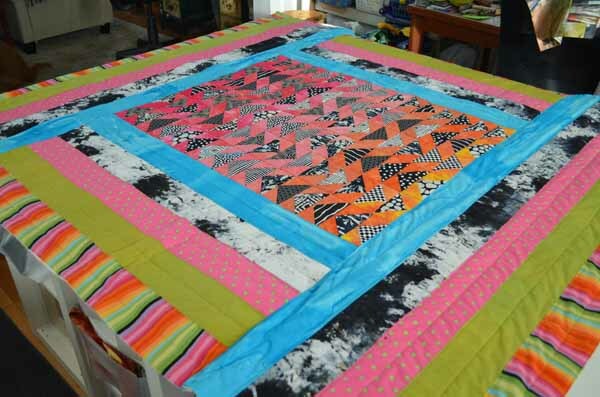 Here is the quilt all sewn without a binding. Look how lovely the black binding looks and the mitered corners came out perfectly. I really think this is the best of the three. It is being delivered to puppyloveme.org today!! These are the previous two. information use my contact form below. I'll be there. 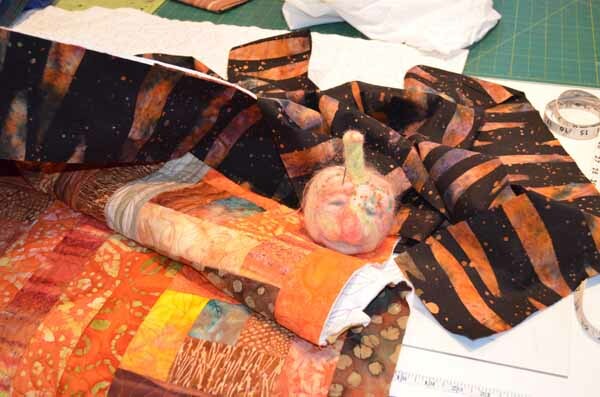 I love that your quilt is in the spirit of service...That first quilt is one of my favorite favorites of yours, such color harmony, and you show us how much work goes into it!!! Thanks Rita. 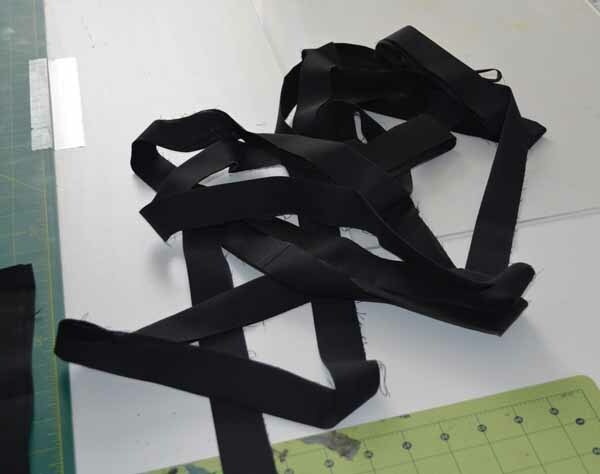 For some odd reason I find it difficult to stop sewing (smile). Today I am getting samples photographed for the upcoming MidSummer Maine Workshop.